In advance of their new album Big Tings, which is set to drop later this week, Skindred has released a new music video for the song “That’s My Jam” as reported by The PRP. The video follows a rebellious cat/man hybrid as he walks around a city late at night. The catman gets himself into a series of escalating adventures, getting into fights, buying milk, and eventually buying catnip off a drug dealer. The video reaches a climax once the catman does a line of catnip, with the video cutting to a shot of the cat man dancing around in a discothèque. The zany music video fits the party vibe of the song, which mixes polished pop-metal with dub reggae sounds and a powerful tag-team vocal performance from Benji Webbe and Mikey Demus. 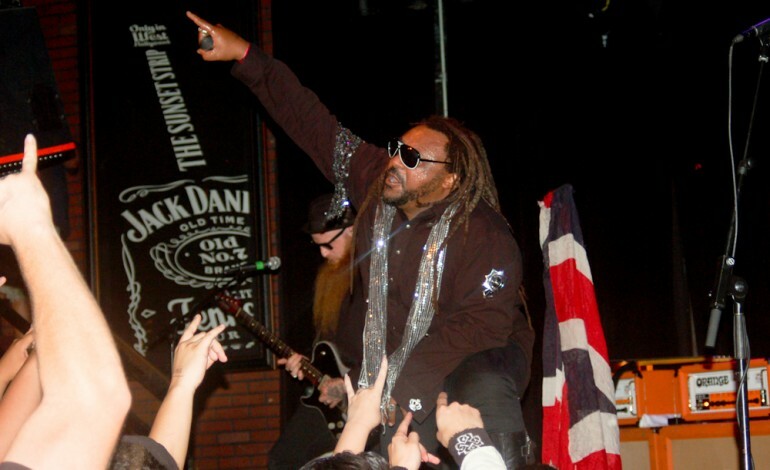 This marks the 2nd single released from Big Tings, following up the crushing “Machine.” Over the course of their storied career, Skindred has developed a unique and distinct musical style that combines many non-metal elements to compliment the jackhammer guitar riffs that form the basis of the band’s sound. You can watch the video for “That’s My Jam” in the player below.